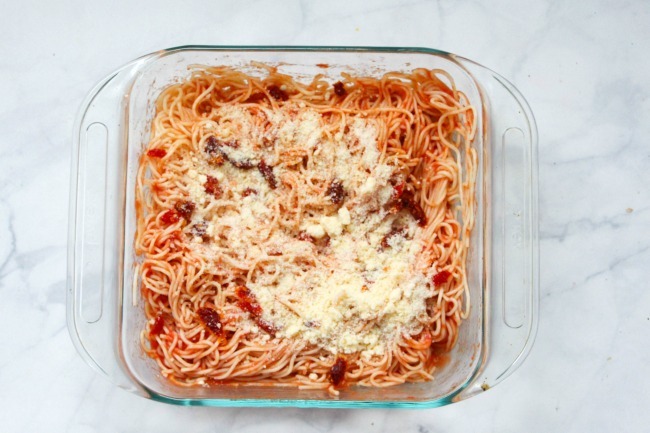 When it comes to weeknight meals, there’s no family favorite quite like spaghetti. We’ve taken that traditional dinner recipe and added a little twist. 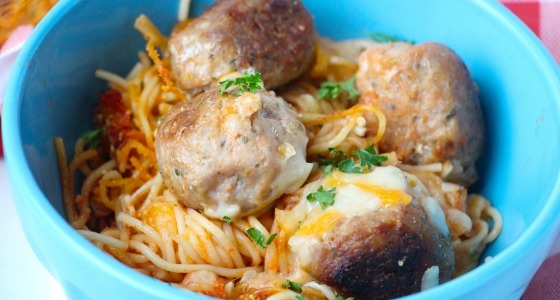 Baked Spaghetti and meatballs is an easy favorite for every one in the family! The gooey melted cheese, the zesty Italian flavors and the perfect spicy meatballs go together to make this a meal your family will request again and again! Add a tablespoon of olive oil to your skillet or frying pan over medium heat and sear and cook your meatballs. Meanwhile, cook your spaghetti to el dente, according to package directions. Drain the spaghetti but do not rinse. Stir in the tomato sauce and season to taste with sundried tomatoes and Parmesan cheese. 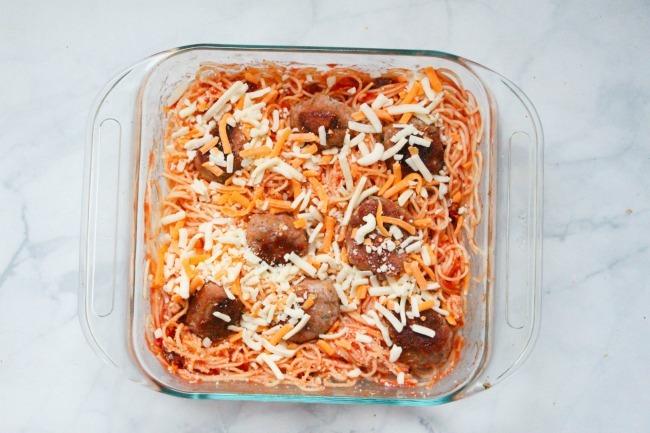 Place the cooked meatballs overtop of the spaghetti and cover with mozzarella. Cook until the cheese is melted, approximately 10-12 minutes. Sprinkle parsley overtop and serve. Do you have a favorite weekday meal? Check out this yummy recipe for baked chicken spaghetti.